Presidential Profiles is a new series that highlights the administrations of the most recent U.S. Presidents. 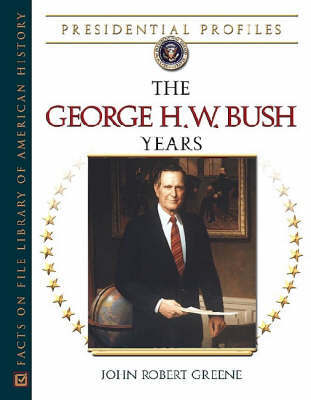 Organized in an easy-to-use, A-to-Z format, each volume focuses on a particular administration, including an introduction, a section of biographical entries, a chronology that spans the history of the administration, and much more. Extensive appendixes contain important documents such as inaugural addresses, important presidential speeches, tables listing the members of the White House staff, cabinet members, and members of Congress and the Senate. These timely, fact-filled compendiums are written for high school and college students and serve as wonderful resources for anyone interested in American government or these select presidents.